These excerpts are words we routinely hear from FleetCommander customers on a daily basis. And we don’t take it for granted. We know that our customers are our #1 asset. We are passionate about getting to know many of our customers on a professional and personal level, while helping them to succeed. We think that is the “secret sauce” of our company’s success, and why we stand out among other vendors in the same market space. "Our university is experiencing incredible growth which will greatly increase the demand on fleet vehicles. In turn, we would expect it to create a need for additional vehicles. FleetCommander will encourage vehicle sharing and utilization efficiencies so that we actually will be able to eliminate vehicles each year from our fleet, despite the higher demands. We envision doing that by reducing the number of vehicles we need to add, and by finding opportunities to improve vehicle-sharing capabilities." "Right-sizing our vehicle inventory by tracking and reporting comprehensive vehicle utilization levels will help us lower our annual motor pool costs." “We anticipate saving between 10-15 hours of staff time per week through the use of FleetCommander." 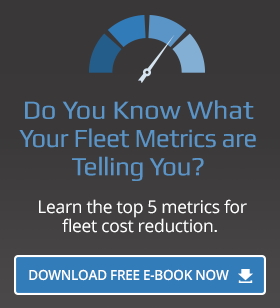 “A top priority of initiating fleet automation tools is to slash POV mileage reimbursement, which we estimate now costs the county upwards of $350,000. Going to an all-online vehicle reservation process will require drivers to check for the availability of a fleet vehicle first. If there is not a vehicle available, drivers will be allowed to use their own vehicle. This will enable the county to cut way back on POV mileage reimbursement. We could buy FleetCommander and a whole fleet of vehicles for what we are spending on POV mileage reimbursement." "The FleetCommander product was exactly what was needed. We now have a fully automated motor pool that is secure and provides complete accountability for access to vehicles. Even better is the fact that we have all of the data and reporting capabilities we need to fully understand how our fleet is being used." "It took us no time at all to get started, and we saw immediate advantages. With FleetCommander, we now use one system instead of three, and billing data is automatically generated when vehicles return. I am so thankful we are using FleetCommander now." “By the way, Chris mentioned to me how extremely impressed he was at how open you and Agile Fleet have been to our suggestions and working with us to make FleetCommander a huge success at Gordon." "With FleetCommander we can see our reservations at a glance and know a vehicle will be ready when we say it will be. That will give us the improved customer service we are striving for." "In an era of economic downturn and reduced tax revenues, relying on fragmented legacy systems and "stop-and-go" manual interfaces will simply not be an option for state agencies who wish to remain relevant and be viewed as the best value by the state's citizenry. Our goal is to show [other Agencies] how a report that once took 30 minutes to create will now take 30 seconds with FleetCommander." "FleetCommander's existing off-the-shelf product was perfect for our indoor garage location. However we needed a solution for an additional outdoor location that could survive the elements and allow employees to pick up and return vehicle keys anytime day or night. The FleetCommander team delivered what we needed. The bright, full-color kiosk is intuitive for our employees, is available around the clock, and able to withstand weather extremes. The temperature extremes in our outdoor location are not a problem for the new solution. The temperature was down below 20 degrees last night, and when I checked the digital thermometer in our kiosk today, the internal low temperature recorded was 46 degrees. I'd say that's a success!" “[We have] relied on paper logs, emails, and incoming telephone calls to schedule vehicles for the thousands of DHS employees who have access to the fleet. Automating reservations and dispatching with the FleetCommander unstaffed, secure key control system will enable employees who currently handle those tasks to focus on their non-fleet-related primary duties. Drivers will have access to vehicles 24 x 7. We'll get instant utilization reports. And we're hoping word will spread and we will be able to bring the solution to our other facilities." get immediate access to their vehicle-use charges (online) from their desks. We can provide our departments with what they need, when they need it. We are also looking forward to having Agile Fleet host the solution for us. It will definitely make things simpler for everybody."